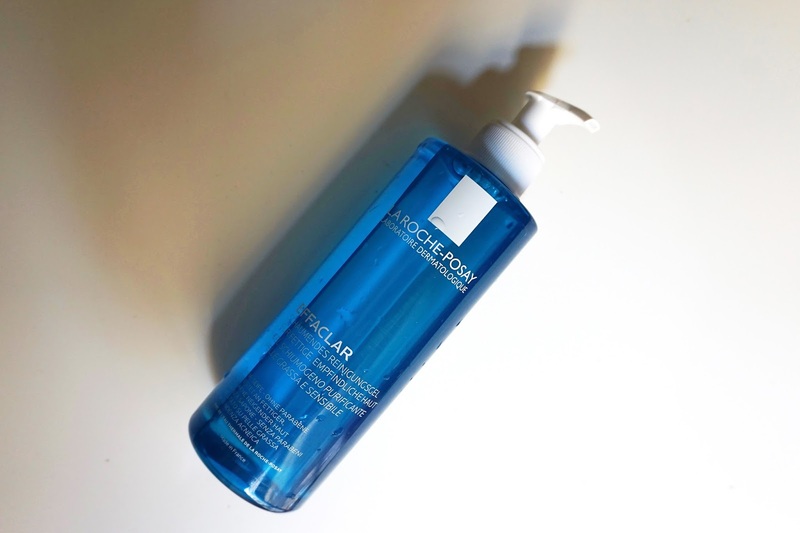 I'm back with a review, this time on the La Roche-Possay Effaclar cleansing gel. After consulting a dermatologist, I was recommended the Ducray Keracnyl gel, which I purchased and used for a while. It was a favorite, that sadly stoped being carried by my pharmacy. 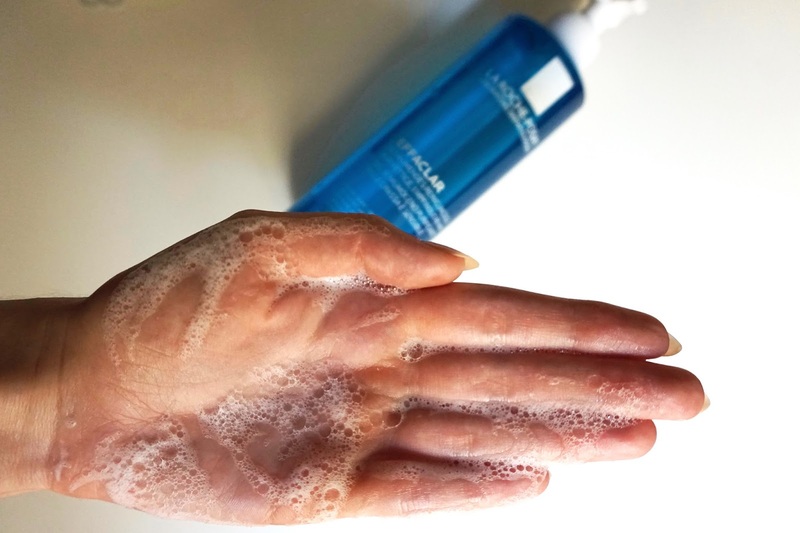 However, the pharmacist explained that the La Roche-Posay cleansing gel has almost the same ingredients and performs similar. If you're curious how it performed scroll below for the review. The Effaclar is a purifying foaming gel cleanser that cleanses impurities while respecting the skin's pH. It reduces excess oil and is oil-free, alcohol-free and soap-free. The gel contains zinc, which helps with the impurities and also thermal spring water. It is formulated for sensitive acne prone skin. Like I mentioned at the beginning of the post, this wasn't my first choice. I was concerned it wouldn't actually be the same as the Keracnyl, however it exceeded my expectations. This is my second bottle of 400ml. I think that underlines my feelings for it. I like foaming it in my hands and then gently massaging it on my skin. It's a very gentle cleanser, which left my skin clean, without over drying or irritating it. I use it both morning and night. Thankfully I haven't had any under the skin breakouts in a long time, like I mentioned in my Midnight Recovery Concentrate review. I think both the serums and this cleanser helped with that problem. My skin feels nice after using it, though I wouldn't say it did a huge difference to my skin texture. I still use exfoliators to deep cleanse my pores and help improve the texture. Also, for anyone wanting to remove excess make-up with this gel, I would recommend double cleansing. I usually remove all of my make-up with micellar water and then wash my face with the Effaclar. It also works nicely with a konjac sponge. The Effaclar cleanser comes in two sizes, the 200ml and the 400ml. I purchased the 400ml from the start, since it's more convenient, but the true reason is that the bigger packaging comes with a pump. It's incredibly easy to use and comfortable to have a pump. In case you've been wondering I started using it in September 2016 and the first bottle lasted until the beginning of May. That's 8 months of me using it morning and night, now that's impressive! The Effaclar purifying cleanser retails for 20,30€ in Milan. Seeing that it lasted 8 months, it's an amazing price in my opinion. It's needless to say I would highly recommend it. Of course everyone's skin is different and what works for me might not work for you, but I think it does an awesome job at cleansing my face without over drying it. I love Laroche Posay, they have so many great products! Thanks for the review! thank you so much for this post! i've never heard of the effeclar cleanser but i want to try it now! as a broke high school student, the affordability of it is super appealing lol! Wow! Amazing! Looks like a great product! Thank you for sharing!